Mohammad Rastad with more than 24 years of experience, working in ports & maritime field is of holding MSC degree in transport and maritime management fron university of Antwerp, Belguim in 2004. He began his career with the Port of Bushehr in 1994 and took the responsibility of ship registry and surveying expert, head of maritime safety and deputy of operations, head of general director of ports and maritime of Bushehr province. In 2015, he was appointed as Member of PMO Board of Managers and Deputy for managers for maritime affairs of ports and maritime organization of Iran. 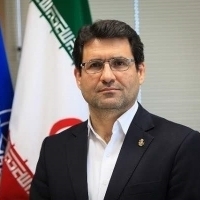 In 2017, Mohammad Rastad was upgraded to the position of Deputy Minister and Managing director of Ports and Maritime Organization which is position in exercising sovereignty on Iranian coasts and national waters as well as regulating, managing and developing Iranian ports. Negin Island in Bushehr province for investment in the fields of constructing terminals for container, oil and petrochemicals, etc. Studying and preparing plan of Integrated Coastal Zone Management (ICZM) in Iranian ports making ground for a sustainable development in the coastal areas.